With its 4 million wild animals that include 364 species of mammals, Tanzania has the largest concentration of animals per square kilometer in the world! Plus it boasts 1108 species of birds, 130 amphibian, and over 275 reptile species. Here are some fascinating facts about a few of the animals you will encounter on your Tanzanian safari with Summit Expeditions & Nomadic Experience. Giraffe tongues are blue and can be as long as 45cm, enabling them to reach leaves high above their heads. The blue tint is from melanin, the same pigment which produces human skin color. As for humans, this pigment protects a giraffe’s tongue against the harsh tropical sun. Zebras are not able to see the color orange, as it does not exist in their color index. Hippopotamus’ milk is pink. This is due to the secretion of 2 acids – one has a red color (hipposudoric acid) and the other one is orange (norhipposudoric acid). When mixed they produce pink milk! Hippos also secrete a natural sunscreen that is colored red and eventually turns brown. Both black and white rhinoceroses are actually gray! 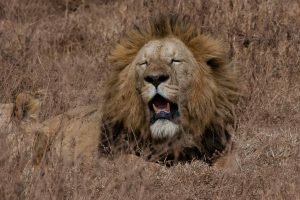 A Lion’s mane becomes black as they age. Lions’ heels never touch the ground when they walk. The trunk of an elephant has more than 40,000 muscles (compared with 639 muscles in the whole human body). Elephants weigh up to six tonnes and are strong enough to topple trees. 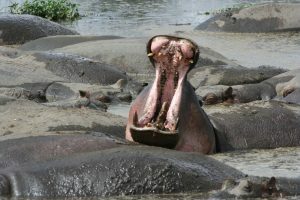 A Hippopotamus’ mouth can open to a 150° angle. Inside are spike-like teeth that can snap a crocodile in half and a massive tongue measuring up to 60cm (2 feet) wide! An Ostrich has only two toes (whereas other birds have four). This appears to be an adaptation for running, though surprisingly, ostriches run on just one toe while using the other for balance. Zebras’ stripes are like human fingerprints – no two are alike. Scientists believe the stripes serve as visual cues and identification, as zebras may recognize one another by their stripes. Each Giraffe’s spots are also unique. 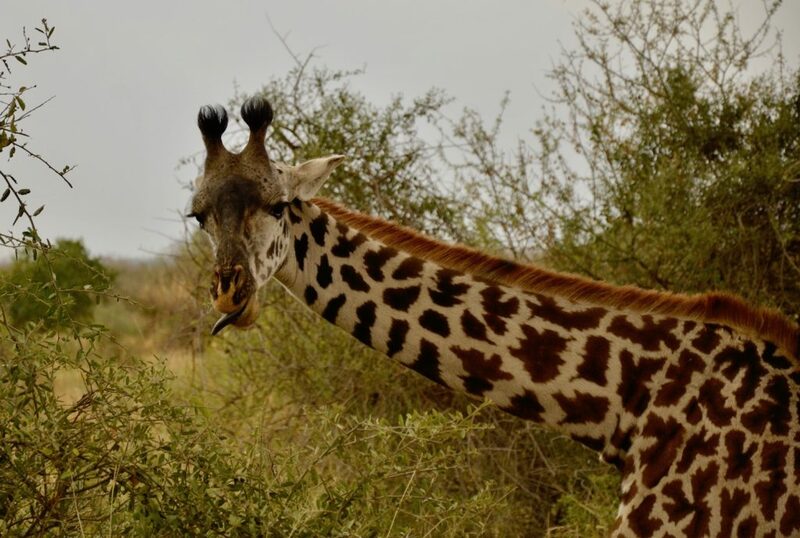 When a giraffe wants to drink, it has to lower its head down far below its heart, which can be dangerous for its brain. To protect the brain from sudden changes in blood pressure, blood vessels in the neck have valves that regulate blood flow. 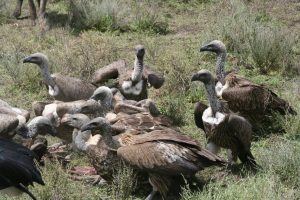 The stomach acid of a vulture is strong enough to combat many dangerous diseases, including anthrax and cholera, which they may ingest when eating dead and decaying animals. Wild dogs have developed large stomachs that allow them to transport food back to the den. They then regurgitate it for the pups and stay-at-home dogs. Rhinoceroses have extremely poor eyesight but excellent hearing and an acute sense of smell. African dung beetles spend their lives gathering other animals’ excrement and rolling them into balls 10 times bigger than themselves. They roll the balls in a straight line, in spite of any obstacles that may be in their way. Scientists have discovered that dung beetles use the stars to navigate and are capable of doing so even when only the glow from the Milky Way or other bright stars is visible. 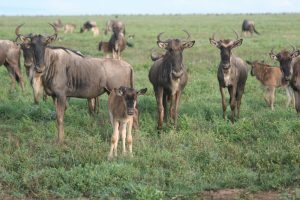 Within a few minutes of being born a wildebeest calf can run. After a few days, it can go fast enough to keep up with the herd. Shhhhhh . . . Did You Hear Something? These sounds used for communication are inaudible to humans as their frequency range is too low for us to hear. Giraffe’s hissing, bellowing, and snorting. Nyah Nyah . . . I’m Faster than You! In spite of their size (up to two tonnes), Hippos are fast runners on land and will attack when provoked. They can reach speeds up to 32 km/h (kilometers per hour). Cheetahs are the fastest land animal, maxing out at 120 km/h. However, they tire quickly and can keep up their top speed for only 30 seconds, requiring a half hour to recover. Cheetahs go from a standstill to 110km/h in under five seconds, and during a chase they can be off the ground for as much as 50% of the time. The Ostrich is the fastest animal on two legs. They can run up to 70 km/h, easily covering 5 meters in a single stride. Even the lowly warthog can run up to 48 km/h! For comparison, humans’ maximum speed (think Usain Bolt) is 45 km/h. 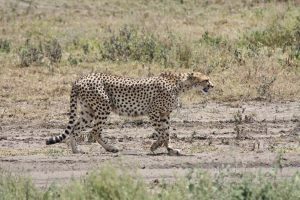 Now you can impress your safari guide with these fast facts, and be sure to ask for more during your Tanzanian safari with Summit Expeditions & Nomadic Experience!